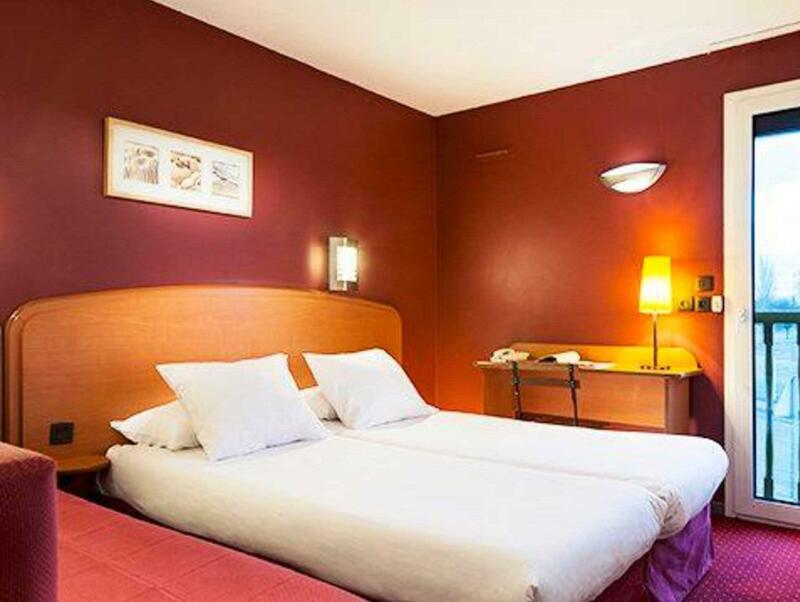 ﻿ Comfort Hotel CDG Goussainville Paris. JIMAT di Agoda.com! 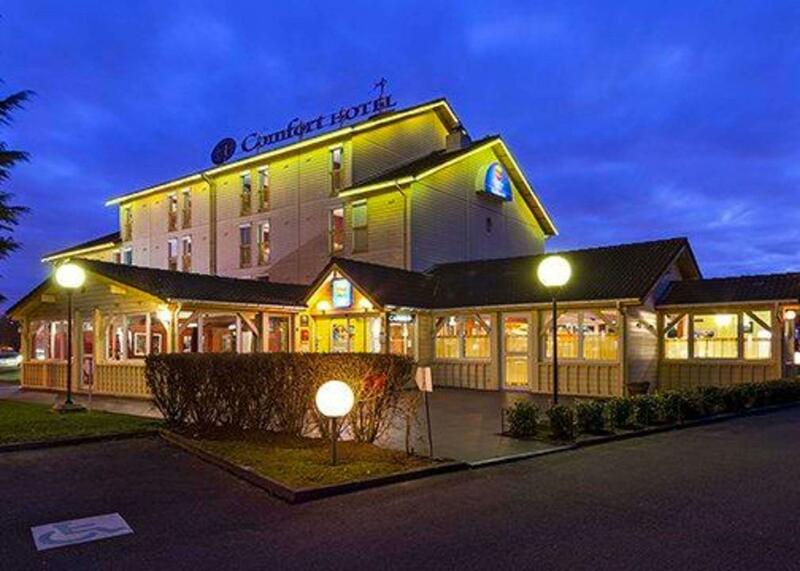 Ada soalan mengenai Comfort Hotel CDG Goussainville? Terletak di tengah-tengah Lapangan Terbang Charles de Gaulle, Comfort Hotel CDG Goussainville merupakan tempat yang sesuai untuk meneroka Paris. Hanya sejauh 9 km, hotel 3-bintang ini boleh diakses dengan mudah dari lapangan terbang. Penginapan ini berada di sekitar kawasan tarikan bandar yang popular seperti Lapangan Terbang Charles de Gaulle, Parc des expositions du Bourget. Di Comfort Hotel CDG Goussainville, perkhidmatan yang cemerlang dan kemudahan yang unggul menjadikan penginapan anda tidak dapat dilupakan. Hotel ini menyediakan akses kepada pelbagai perkhidmatan yang luas, termasuklah Wi-Fi percuma semua bilik, fasiliti tetamu kurang upaya, Wi-Fi di tempat awam, tempat letak kereta, pengangkutan lapangan terbang. Suasana Comfort Hotel CDG Goussainville terpancar di dalam setiap bilik tetamu. televisyen skrin rata, internet wayarles (percuma), bilik larangan merokok, pemanas, panggilan kejut hanyalah sebahagian daripada kemudahan yang boleh didapati di hotel tersebut. Taman di hotel merupakan tempat yang ideal untuk anda relaks dan tenangkan diri selepas hari yang sibuk. 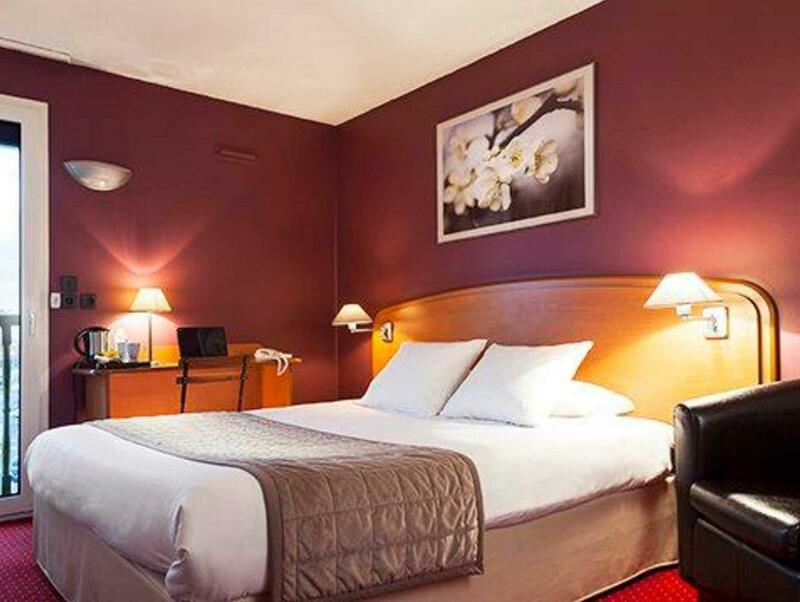 Comfort Hotel CDG Goussainville adalah destinasi sehenti anda bagi penginapan hotel berkualiti di Paris. No airport shuttle as advertised which caused some confusion as there are two comfort hotels, one very close to the airport with a shuttle then this one (which taxi drivers are reluctant to go to). Staff super lovely and friendly and the bed was comfortable but this was the only positive for us really. Floor very dirty, didn't look hoovered and cups in the room also dirty. Out of date milk for coffee which were then replaced with more out of date milk. No meal service on the weekend for some reason. No real facilities. Cheap but I would spend more on something nicer and closer to the airport next time. Wouldn't recommend. Didn't expect too much to begin with, but even with low expectations I was disappointed. Some of the staff was great and super helpful, while one in particular provided a stressful experience at every encounter. The rooms are TINY and when I say tiny, I mean tiny! No air conditioning, cleaning services weren't provided the first day (we had to ask for it, the next day). The bathroom sink leaked and there's no fan in there either. The property is in the outskirts of a sketchy part of town (which I did not expect), so there's a huge metal gate at the end of the driveway/parking lot. Some staff leaves it open during the day, while another keeps it closed. On our 4th day of constantly being locked out and having to wait (sometimes up to 10 minutes in our car) we were finally told that there was a code we could have been entering for the gate - that sure would have been nice to know, 4 days ago!! This trip has been stressful and disappointing and we will definitely not be returning. Besides no transportation from/to the airport as was advertised, the stay was fine. It cost me as much in a taxi to & from the hotel as it did to stay in the hotel. Location was in a bad neighborhood. The hotel had a fence around it & it would not have been safe to leave the property. It is a good hotel. Close to airport and exhibition hall. Service is good. Short distance to walk to supermarket. stayed 3 hours , close to the airport!! Had a good stay on the way to the airport. Great food, and lovely helpful staff. Far from from CDG; taxi fare EUR20 from CDG and EUR 25 to CDG. No airport shuttle. The room wasn't as nice as I expected. A bit run down but well presented. There was no separation between my shower and toilet, so the toilet got wet, this is not the case in all rooms though. The staff were very friendly and helpful. Carpark is big. I chose this hotel specifically because there was an airport shuttle but later found it did not exist, beware, you'll have to take a cab (it's on the wrong train line to reach the airport). Do not believe what is written, no shuttle provided even you call them 24 hours or 1 week ago. The taxi driver is not willing to take you there and you MUST have to take a bus. Not recommended or else you speak french and know that place very well. I paid the room at about US$100.night and that mean DO NOT expect any service. It is kind of 2-3 stars hotel. Good thing is CarreFour was next to it and you can get something there. The train station is approximately 1.5KM away from the train station and limited bus schedules from CDG airport to the hotel. Hotel shuttle service is not available on SAT, SUN and Holiday . there will be no staff during certain hours and entrance to the hotel must be via the Digital door. Restaurent is open only in the morning. The weather was 10 -12 degree on 1 -2 June and hotel will shout down the heater. Too close to the road and noisy. Generally, I am impressed with the performance of the staff. The hotel does not provide a shuttle bus from the airport unless you give them 24 hours notice by calling them, which I was not aware of until I arrived there, it was over 30 Euros via cab. I was instructed how to take the public bus in the morning to the airport, the bus stop was one minute walk from the hotel and cost 2 Euros so was convenient, although I only had two bags with me. Nice hotel. but a little bit noisy, because it's near the airport. 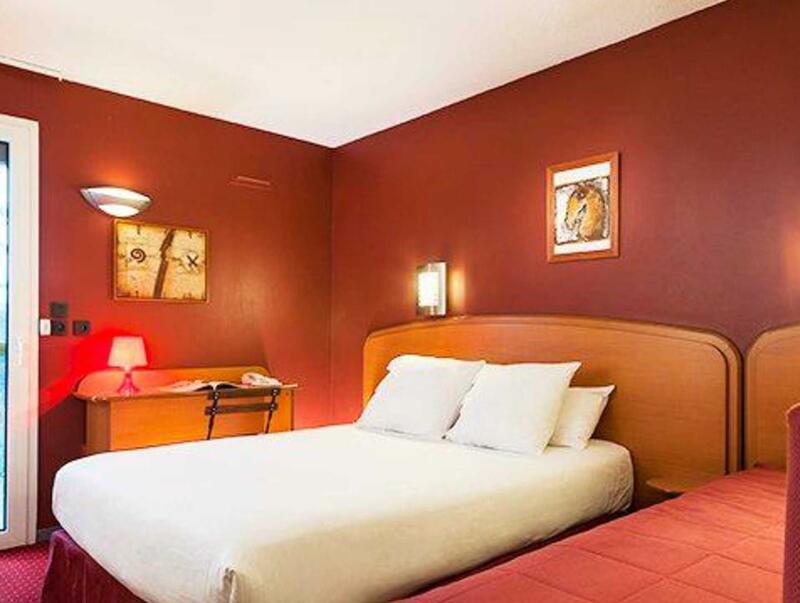 Rooms are very clean, there is a Carrefour right next to the hotel, where you can buy something. We rented a car and into the center to Paris it takes only 30 minutes. Valuable for the money!